This is a sponsored post by A Girl's Guide To Cars and the BMW Performance Center, all opinions are my own. 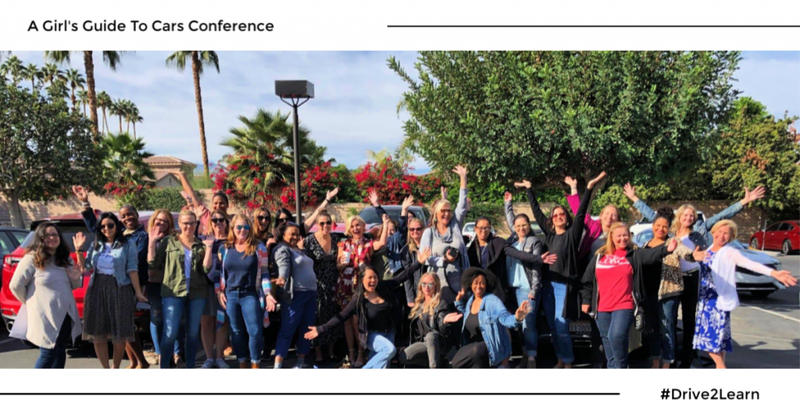 During the recent A Girl’s Guide To Cars #Drive2Learn conference held in Palm Springs, California I had the opportunity to do something amazing. 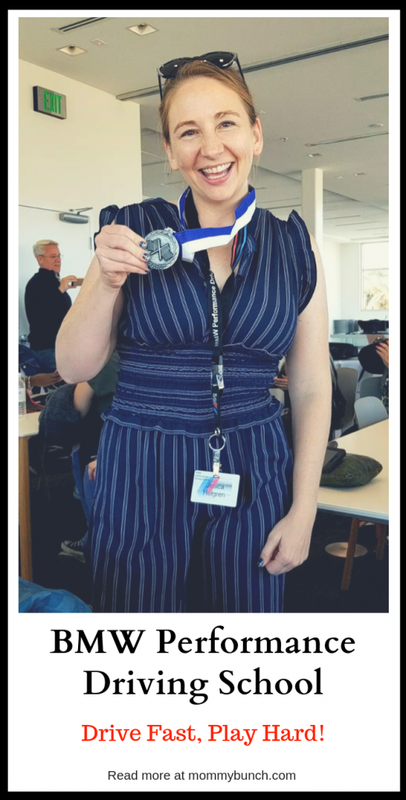 If you know me, you know I’m an adrenaline junkie so when we were told we would get to drive around at the BMW Performance Center on the test tracks, you better believe I was excited! 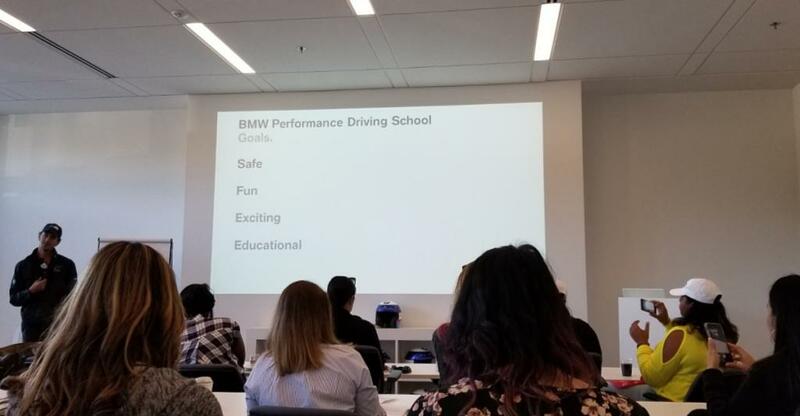 I would say that anyone who attended this conference with me will tell you that I was probably the person who had the most fun at the BMW Performance Center. Drive fast cars? Yes, please. Race everyone else for the best time? Yes, please. 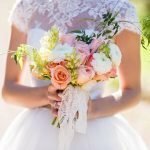 These are just a couple of reasons, but there is so much more! 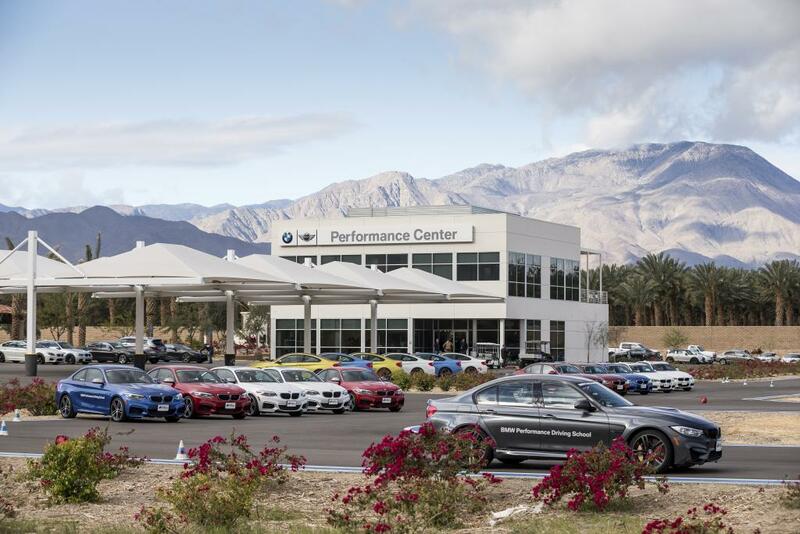 If you want an amazing experience that shows you what a performance vehicle can really do, you need to head to the BMW Performance Center (and there are two locations!). 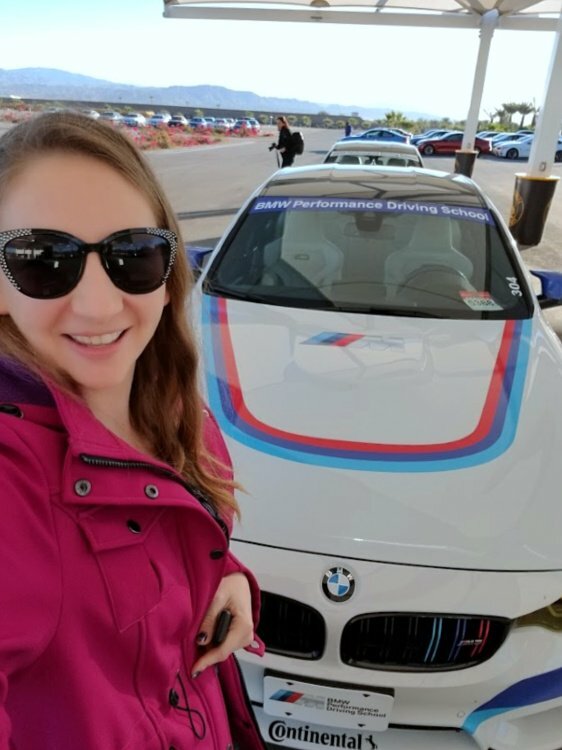 One of the best things about going to the performance center is that you get to take the BMW vehicles to their limits and have an amazing drive experience, but you also learn some valuable skills. BMW is a brand that is built on their engineering, and it’s something they are proud of. At any of the performance center courses, you get to see just what that engineering can do on all sorts of road conditions, and how it helps to keep you in control. In the driving school, you will learn to control the car in a variety of situations. This isn’t your normal lane change maneuver. Find out what to do when there is a sudden obstacle in your path that will force you to make a quick high-speed change of direction, then point the car back into your original lane. Look at where you want the car to go, and you’ll master this exercise. Actually losing control of your car can be an eye-opening experience. 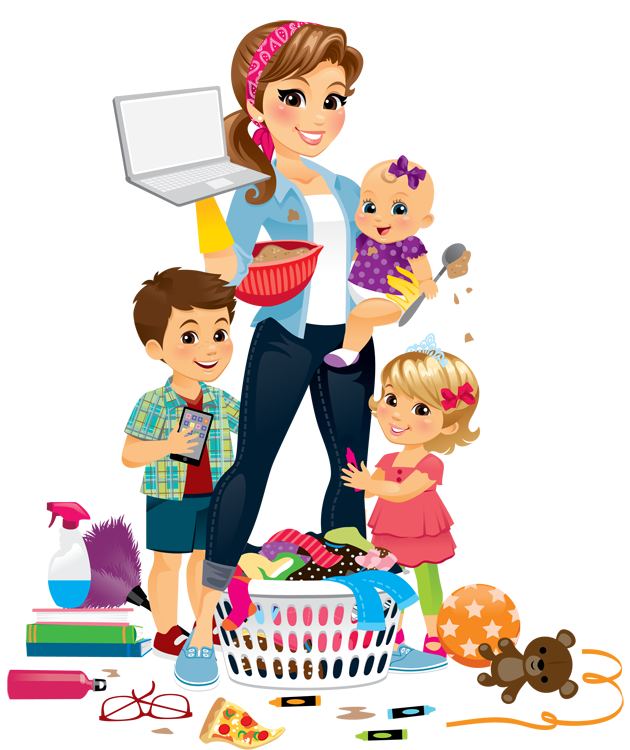 In this exercise, you’ll try to do it on purpose. Practice understeer and oversteer conditions at the limit on the wet skid pad. Controlling your car during panic braking means more than just pressing firmly on the pedal. Here, you’ll travel in a straight line and stop in as short a distance as possible while engaging ABS. Then move on to panic braking while turning your car around a corner, learning how far to look ahead. Dynamic Stability Control is standard on every BMW, and it can mean the difference between maintaining control and heading off course. Your instructor will turn this system off for the first part of this exercise, showing you how far you can push the car at the limit. Then, you’ll engage the system to demonstrate how it intervenes and helps you maintain control in a variety of conditions. At the end of each day, you’ll combine everything you’ve learned and then take your BMW through a timed lap around the track. Control the car through understeer and oversteer conditions, learn the correct driving line, utilize proper vision and remember to control the car through panic-braking situations. 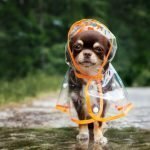 Can you come out with the best time of the day? A one day driver’s school program is $849, if you want a two-day experience you can book for $1,699 — see you there! Any BMW with the letter M in its name promises ultimate performance, and the BMW M School is where you can go to experience more. More power, control, speed, and adrenaline. A class here will test your own limits, and leave you with more of something else. Skill. After driving the M cars around, I can tell you for certain that this is an amazing experience. Doing the ‘follow the leader’ exercise with the instructors was my favorite part of our experience because you got to take these cars to their limits around a real race track. With your instructor in the lead, you simply follow his cues as you accelerate as fast as you can down the straightaways while learning exactly when to brake so you can maneuver the corner at just the right angle and speed. Truly a mind-blowing experience! Once we drove the track in our own vehicle, we hopped in with our instructors to see just what these cars could really do. Check out my view from the sidelines here as I watch the other attendees take their turn. If you want to see my pro ride-along with Raul, check it out below! 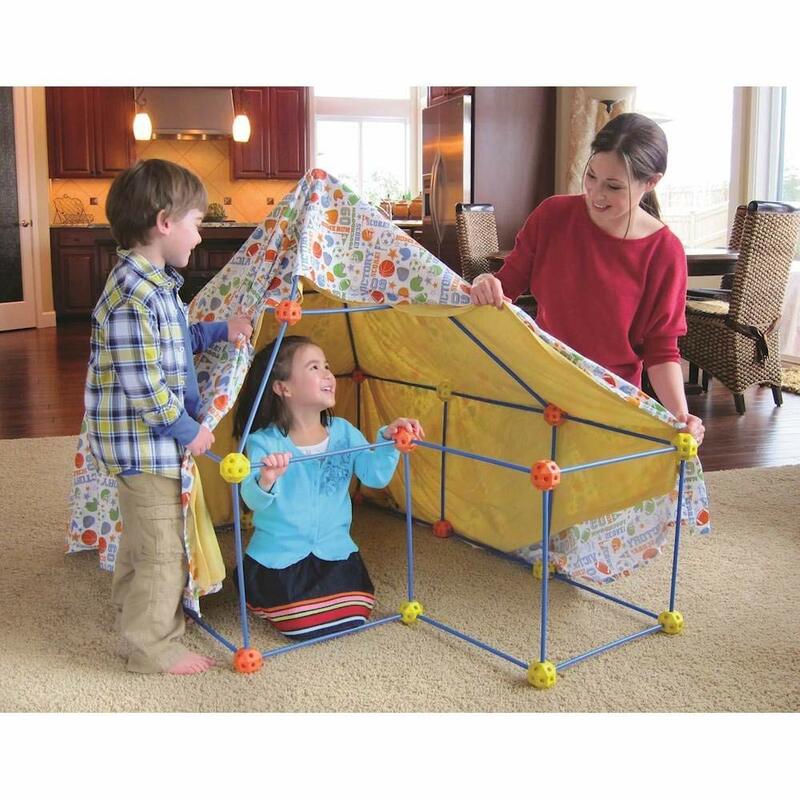 One-day M School, $1,550; two-day M School, $3,995 – accommodations are included with the two-day school. In the teen school, your day starts with a brief classroom session that will go over basic car control. Topics include where to look, how to hold the steering wheel and the best way to sit for visibility. After that, we move out to the flight line, where you’ll put these fundamentals into motion. 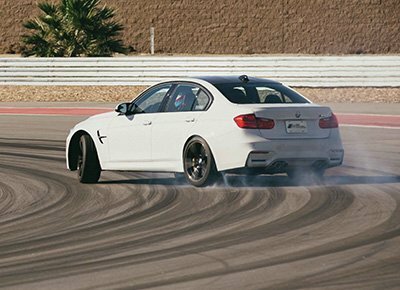 Our instructors took us through these exact same lessons before we hit the track, and it was definitely worth it – I learned a ton about proper seat position, the line of vision, and more. 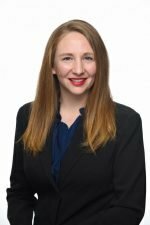 Your teen will learn about how to react to panic braking, emergency lane changes, how to not drive distracted and how to react to certain situations. 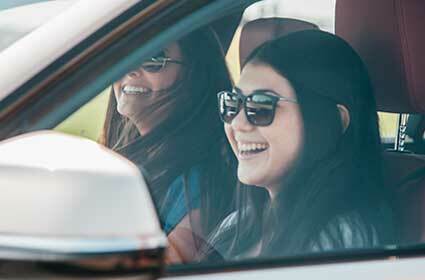 One-day teen driving course is $849, a two-day course is $1,699. 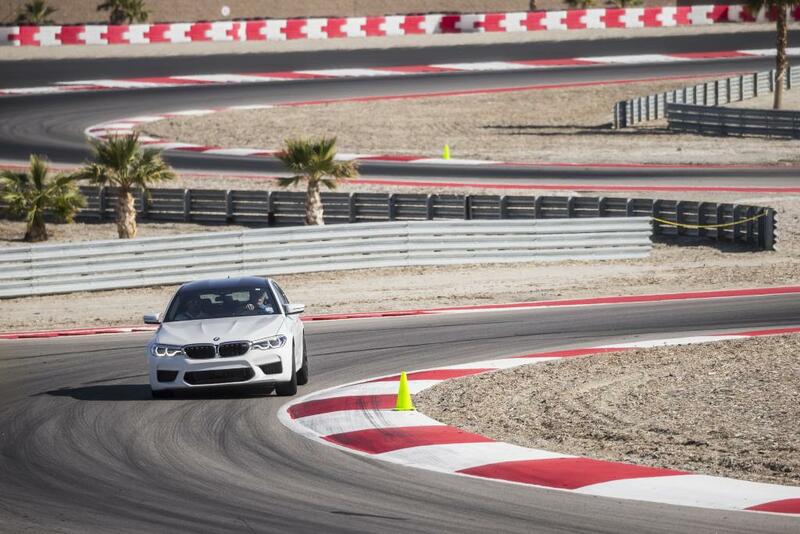 The BMW Performance Center also offers mini-autocross and stunt driving courses as well as motorcycle courses. If you’d like to check any of those out head over to their website to see the details. If you want to see all the fun we had at the Girl’s Guide To Cars Conference, head to my Automotive and/or Travel sections. 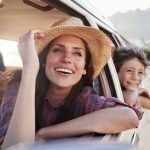 You’ll find info on some of the cars I drove, where we stayed, as well as an awesome new way to simplify the car buying experience! 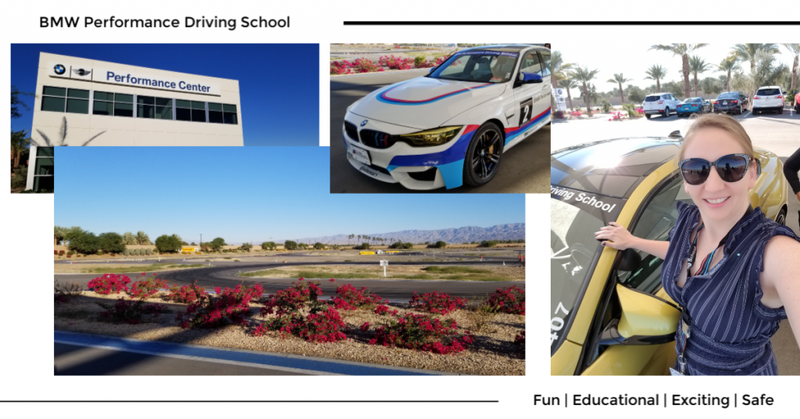 If you want to experience all the fun and excitement the BMW Performance Driving School has to offer, now is your chance to win a drive experience at the Performance Center West, as well as a stay at the Miramonte Resort! ﻿Routine Car Maintenance that Anyone Could Do!